Tall, fast growing and durable, the sycamore tree—with its large, maple-like leaves—is an elegant addition to your backyard landscape. Its most recognizable feature is its bark that peels away as the trunk expands, revealing the white, tan and green inner bark. However, it is possible that you experience problems with sycamore trees. These can range from sycamore tree pests to sycamore tree diseases. Read on for information on sycamore tree problems. Sycamore trees are vulnerable to diseases and insect pests, just like almost every variety of tree you can plant. Experts advise that you keep your tree healthy, with good cultural practices, as a first line of defense against problems with sycamore trees. Generally, the healthier and more vital the tree, the less it will experience sycamore tree problems. However, even well placed, irrigated and fertilized sycamore trees can get some pests and diseases. One of the most common sycamore tree pests is the sycamore lace bug that gets its name from the lacy pattern on the adult’s wings, head, and chest. The insects feed on the undersides of the sycamore’s leaves. While the sycamore lace bug’s damage is rarely serious, a heavy infestation can slow the tree’s growth. Keep an eye on your tree leaves and wash off bugs with the hose. Insecticides are also available. You’ll find that there are quite a few diseases of sycamore trees. 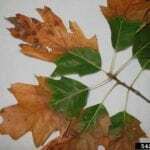 The most dangerous of the diseases of sycamore trees is anthracnose, also called leaf and twig blight. It can kill American sycamore, although it does only minor damage to other varieties. This disease can kill twig tips, expanding to buds, new shoots and leaves. The symptom you see most frequently is crinkling and browning of the leaves. This sycamore tree disease is most likely to strike when the weather is cool and wet. Spores from the fungus can be spread by rain and wind. If you give your trees sufficient water and fertilizer, you are unlikely to see this sycamore tree disease. Another common disease of sycamore trees include powdery mildew fungus. It can be treated with fungicides. 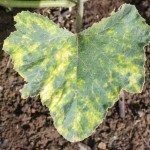 Bacterial leaf scorch can also be a problem. It is caused by Xylella fastidiosa, a bacterial pathogen that kills off entire branches of the tree. Pruning infected branches can slow its spread.